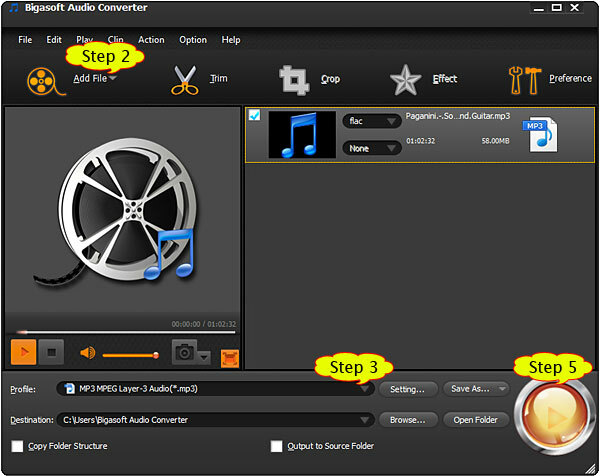 ﻿ M4B Converter - How to Convert M4B files to MP3, M4A, etc. on Mac/PC? M4B is the file extension for audio-only MP4 files. It is widely used by podcast and audiobook downloaded from the Apple iTunes store. However, most iTunes audiobooks can only be played on authorized computers using iTunes or on certain iPod player. In order to play M4B audio file with non-iTunes media player or non-iPod MP3 players, it is necessary to convert M4B to MP3, WAV, AAC and more common used audio format. Usually, most of M4B converters have the ability of converting M4B to MP3, M4B to M4A, M4B to WAV, M4B to AAC, M4B to OGG and M4B to WMA etc. However, they often failed to convert and split M4B by chapter. As we know, M4B audio file are usually with large file size and audio length, up to one hour or longer. Since other audio format like MP3 does not have the bookmark feature, it is not convenient to listen the converted long M4B audio file. 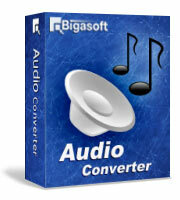 Luckily, we have Bigasoft Audio Converter! As the professional M4B Converter Mac or Windows, it enables converting M4B to various audio formats as well as splits the converted M4B by chapter on Mac or Windows. It can convert M4B to MP3, MP2, AU, AAC, AC3, AIFF, WMA, WAV, and OGG and automatically split the converted M4B by chapter. Or it supports converting only favorite audio clip to certain audio format. The following will take convert M4B to MP3 with the ideal M4B Converter as an example, it also applies to converting M4B to M4A/WAV/ WMA/ MP2/AU/AAC/AAC/AC3/AIFF/OGG. You can convert the whole M4B file without splitting, or convert as well as split M4B by chapter, or just convert only favorite clip to any desired audio format. Free download and install the professional M4B to MP3 Converter - Bigasoft Audio Converter ( Windows Version , Mac Version ), and then launch it. 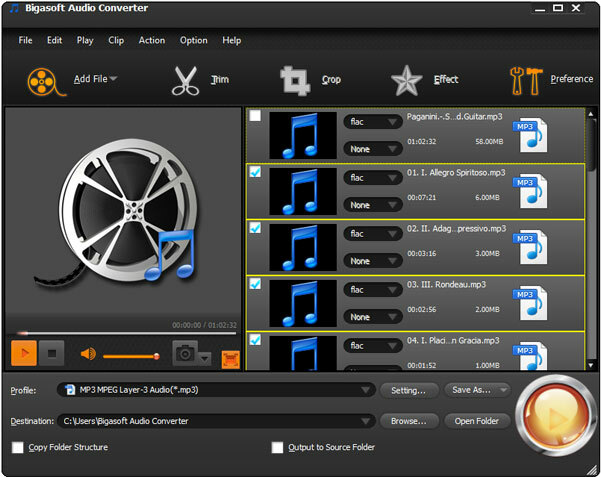 Press "Add File" button to locate and import your M4B audio file, or simply drag and drop your M4B files to the main screenshot of Bigasoft Audio Converter. Click the small triangle to the right of "Profile", a drop down menu will pop up, then select "MP3 - MPEG Layer-3 Audio (*.mp3)" from the "General Audio" category. Click Trim button to select desired audio clip by setting the start time and end time. Just right click on the M4B audio file, and then select "Split by Chapter" option from context menu. 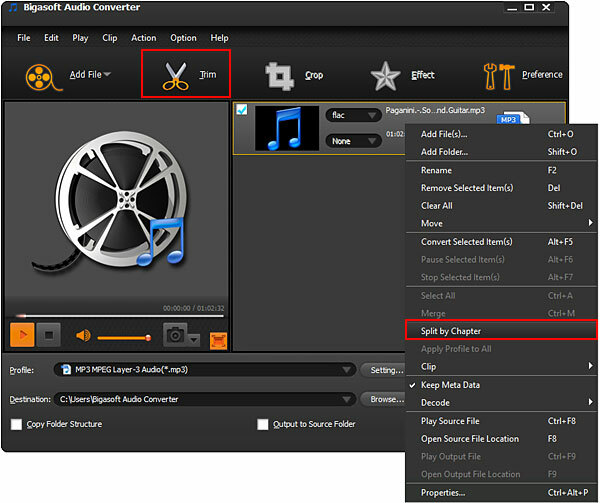 The powerful M4B Converter will automatically list the embedded chapters in the M4B music, podcast or audiobook and save spitted files based on chapter names with embedded picture. Click "Convert" button to begin converting M4B to MP3 audio format, it will be finished in few minutes!